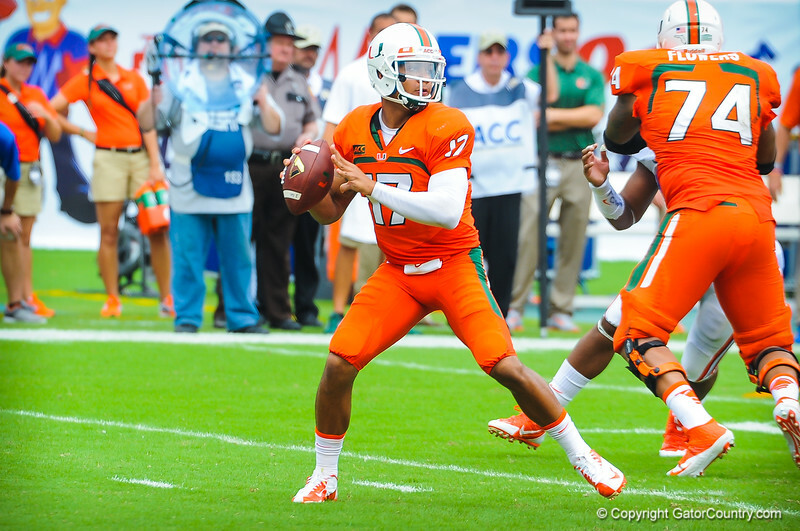 Miami QB Stephen Morris throws downfield. Gators vs Miami. 9-07-13.